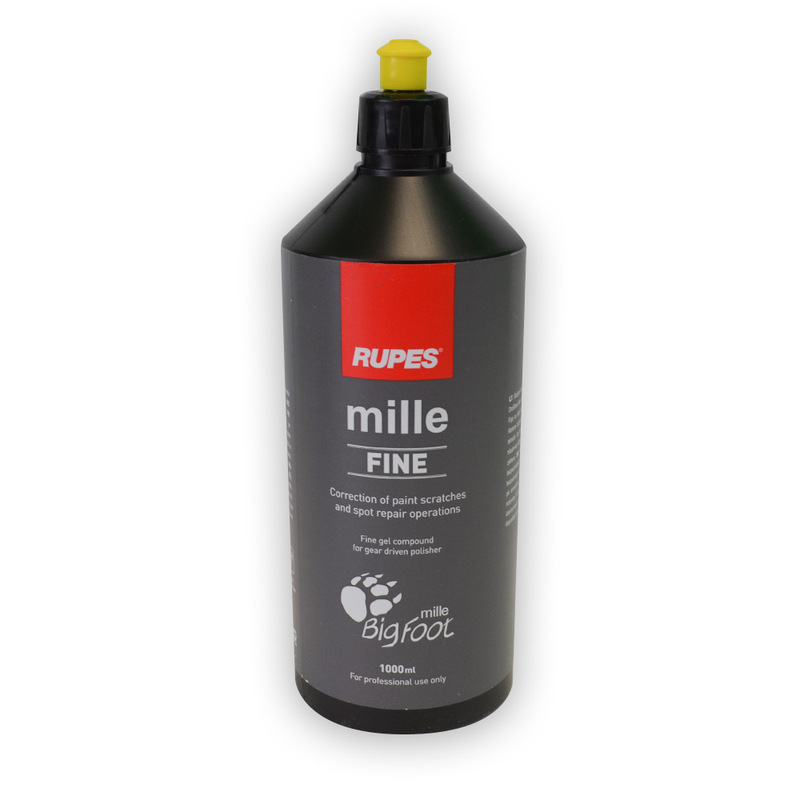 The Yellow Rupes Mille Fine Polish has been formulated to use with the Rupes Bigfoot LK900E Mille Gear Driven Polisher and the Rupes Yellow Mille Foam Pads. This Polish will remove swirls and fine scratches as well as holograms and other minor paint defects. The Rupes polishes and compounds work great with the Rupes brand polishing and compounding pads and we suggest the use of them with their product line-up. The Rupes products are colored coded to their corresponding polishing or compounding pad. The Rupes Mille Yellow Fine Polish which has a yellow cap is to be used with the Rupes Mille Yellow Fine Foam Pad. Rupes has perfected each of their products to work exceptionally well with each pad, so that the operator will achieve showroom quality results. Needless to say, you can still use Detail King's exclusive pad line-up with these products, if you so desire!